Luke and Devin talk to Leah Williams about her upcoming one-shots, the importance of fan fiction, which X-men character she’d permanently kill, and more! You can follow her very good Twitter account here! Outside of a small town sits the MultiversalQ Mansion, a building which has been filled with questions ever since the mysterious owners vanished months ago. Enter in with Marvel writer Al Ewing as he braves the mansion to find his prize – but will he survive – and will he answer your question? This week Luke and Devin recorded early since Luke went to DC and they did Wha… Huh? a joke one-shot with art by Jim Mahfood and scripts by a number of big name creators. There are new top reaching and bottom shooting universes. Luke didn’t even edit this episode so hopefully it works! This week Luke and Devin wrap up Infinity Month with an intervention. And also Norman Osborn gets the Infinity Gauntlet. Check out the image gallery and notes after the jump! 136 – I Can’t Believe They’re Not The X-men IN SPACE! Art by Mike Norton and Rochelle Rosenberg. Wanna buy the original? I don’t see it listed online! In which Jay and Miles from X-plain the X-men are called in to discuss Joshua Williamson’s What If Infinity: X-men is a bit like Firefly, there are universes X-men who were also Avengers reunite, DC Earth designations are like trade numbering, Cannonballs Not Actually X-men are a weird group, Sunspot and Cannonball have a weird wifeswap, picking family over team, the Power of Friendship saves the day, the villain is ill-defined, and the X-men are dead – JUST LIKE YOU. Also questions from listeners like you (or maybe you?)! Next Episode: Katherine Pryde and Age of Apocalypse Sabretooth fight Hydra Wolverine! Live show update! Luke will be performing at Columbus Podcast Festival! You should buy tickets! Check out the image gallery and show notes after the jump! Find us on Itunes and Stitcher! 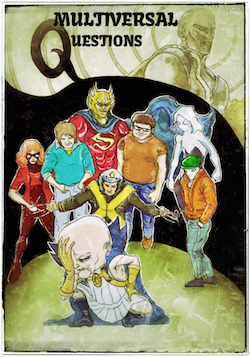 Find Jay and Miles X-plain the X-men on their website and on Twitter. Jay was previous on this episode and Miles was previous on this episode. See our other related podcasts EXILED and John Wiki! Happy Anniversary Episode! Luke and Devin sit down with Marvel editor Heather Antos to talk about editing Infinite digital comics, the dream lineup of titles, poor Sinjin, Doctor Aphra, non-Marvel Comics, Power Pack Noir, Spider-Man: Renew Your Vows, what makes Gwenpool special and more! I couldn’t find Outrage anywhere online! I reached out to Reilly Brown and will update this if I can get a link. This week, Luke and Punisher-expert Geoffrey Golden return to talk about the now almost 10 year old comic, Eminem Punisher, as well as the Academy Award winning rap artist Eminem, and other important topics. You can find Geoffrey here on Twitter. Check after the jump for the image gallery and notes! 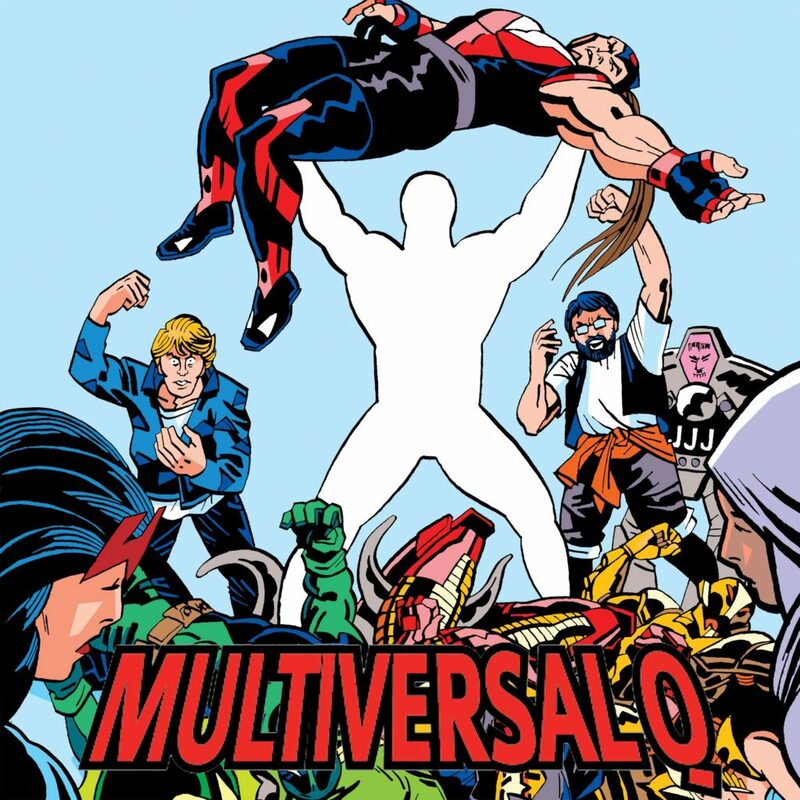 This week along with talking about Daredevil Noir, Luke and special guest wrestler James Alvarez talk about their early podcasting days, how John Cena is the X-men, and relating to immature boy Matt Murdock. Also apologies for the audio quality. James can be found here in Twitter (in kayfabe). This week Luke and Devin tackle some Punisher What If stories and get lost along the way. Some friends show up and one of them dies! Also Frank Castle becomes a cop and then another Frank Castle joins up with SHIELD! Episode 98: Ladies and Exiles, The Maestro! This week Luke and Devin are back talking about the Exiles and the Maestro, all with that good good banter you know and love. And also Rick Jones. Ugh, that guy!